This is just one texture that adds a three-dimensional model of a trident. 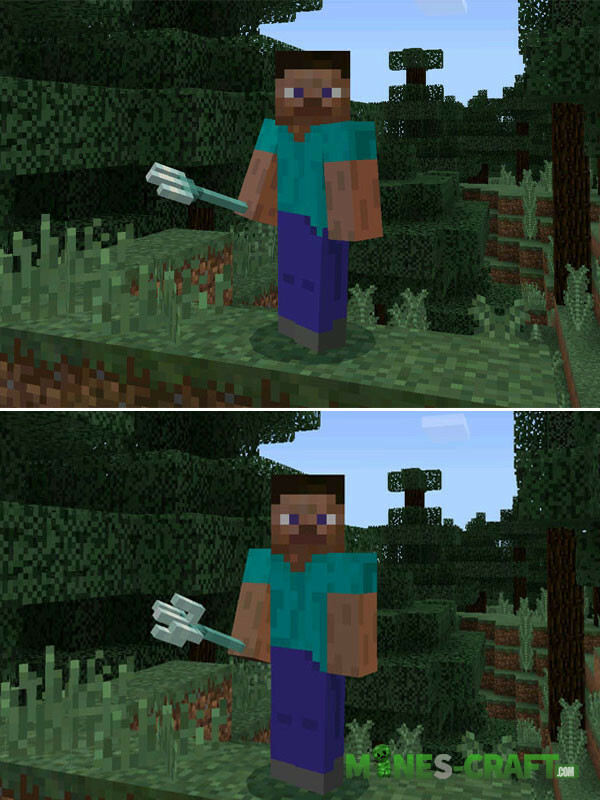 To all objects had one big similarity, the Mojang designers created a 2D trident just like it is now. In reality, this is a rather boring model similar to a huge fork. But you can in a moment get a trident that everyone can like without exception. As you know, the tridents are one of the features of Minecraft Bedrock Edition 1.2.13 so if you have not yet updated it then we advise you to do it right now.